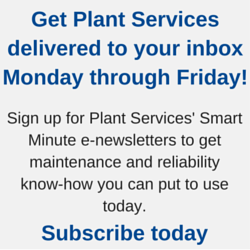 Plants and substations often represent a worst-case scenario for networking equipment. Environmental challenges are a major factor, because the pristine, temperature-controlled conditions generally required for sensitive, high-performance networking components are often not available. Enterprise devices are also not designed to meet highly space-constrained installation locations. Often, industrial installations of network equipment in the power industry, such as in a wind turbine, have little available room for additional equipment. To solve these issues and enable deployment of enterprise information technology communications equipment where it’s needed, electric utilities are starting to adapt military-grade equipment to meet specific industry needs. For the past 15 to 20 years, the U.S. Department of Defense (DoD) has been procuring rugged, compact and easily transportable IP-network technology for use by warfighters in the field and in vehicles. For these applications, the DoD requires the best available size, weight, and power, as well as security and ruggedness—making these systems also well-suited for energy industry applications. As shown in Figure 1, these small servers and routers are designed with a modular enclosure architecture, so that the modules can be easily transported and then operated right out of their chassis, together with full power conditioning and uninterruptible power supply backup. These systems are significantly smaller than typical network servers intended for rack-mounted deployments.